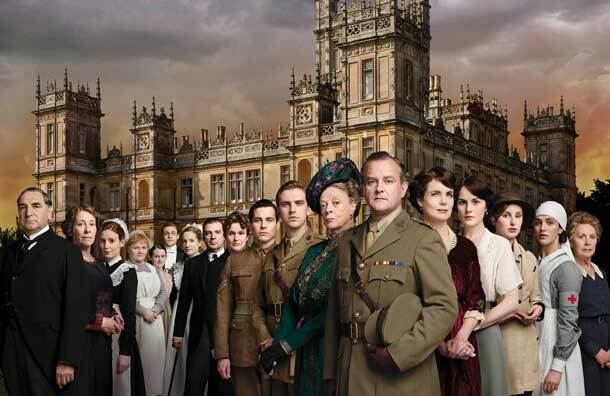 The second season of Downton Abbey premieres this Sunday, January 8, at 9 pm on PBS. My friends and I admit we're a little obsessed with the series. Are you? We've watched Season 1 so many times we could probably stand in for some of the characters. Elizabeth and I would fight over who gets to be Anna (loser takes Cora). Lest you think this is not a very big deal, Downton Abbey set the Guinness World Record for the "highest critical review ratings for a TV show." It displaced Mad Men, Sons of Anarchy and Modern Family, who shared the title since 2009, making it the most "critically well-received show in the world" according to the record book. The drama, created and written by Julian Fellowes, was nominated for 11 Primetime Emmy awards and won six, including Outstanding Miniseries or Movie and Outstanding Supporting Actress, Maggie Smith as Violet, Dowager Countess of Grantham. Thank goodness the long wait is finally over. 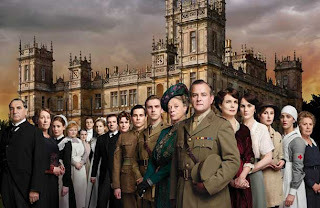 Watch Downton Abbey Season 2 With or Without You Preview. on PBS. See more from Masterpiece. Yup. We'll be in front of the TV on Sunday as well. Enjoy!